Imagine the thrill of unearthing three ancient greek mosaics dating back 2,220 years ago. 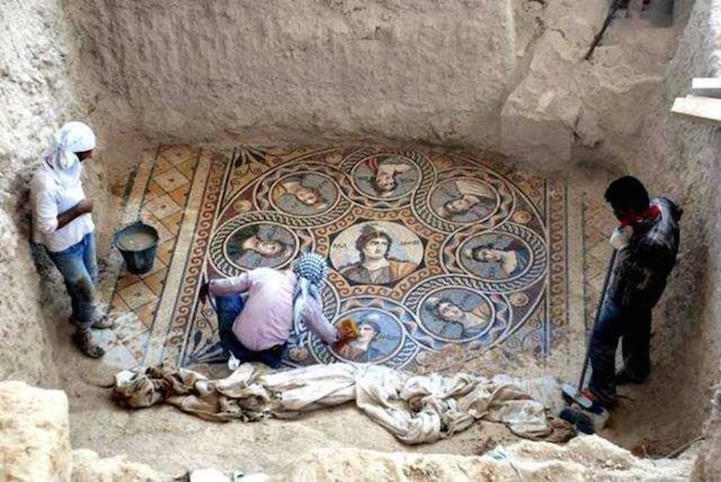 Back in 2014, Professor Kutalmış Görkay of Ankara University and his team of archeologists discovered three ancient greek mosaics in the Turkish city of Zeugma near the boarders of Syria. For some context, back in 2007, Zeugma was expecting a flood due to constructions of a dam. The archeologist team feared that they would lose the ancient treasures of Zeugma to this flood and immediately began their expeditions. Upon their search for ancient treasures, they stumbled upon three ancient greek mosaics belonging to the 2nd century BC. The mosaics, shockingly were uncovered in almost pristine condition. Although the Zeugma city is now 80 percent underwater, the team continues their searches in hopes of unveiling hidden artifacts. Here are some of the gorgeous artifacts discovered. Above is a mosaic of the Nine Muses: Clio, Euterpe, Thalia, Melpomene, Terpsichore, Erato, Polymnia, Ourania, and Calliope. Back in the renaissance days, the Nine muses were an inspiration to artists since they were the first ones to discover many art forms. Many artists did art works on the nine Muse as a dedication and recognition of their importance. Pictured above, Oceanus- the divine personification of the sea and his sister, Tethys- the embodiment of the waters of the world. According to Professor Görkay, back in the 2nd century BC, many homes had mosaics in them. Mosaics in homes held a social aspect. Guests often times would admire the works of arts while drinking and chatting with the home owners. Subject matters were taken into consideration and put into specific rooms. E.g. a bedroom perhaps may have a mosaic that portrayed lovers such as Eros and Telete. The mosaic above, Thalia- the muse of comedy and idyllic poetry is beautifully intact. Experts commented on Thalia’s face saying how the mosaic required special pieces of glass that is used specifically for this mosaic’s face alone. The mosaic of Thalia is vivid as it is aesthetically pleasing. A wonder piece of art discovered by the archeologists. 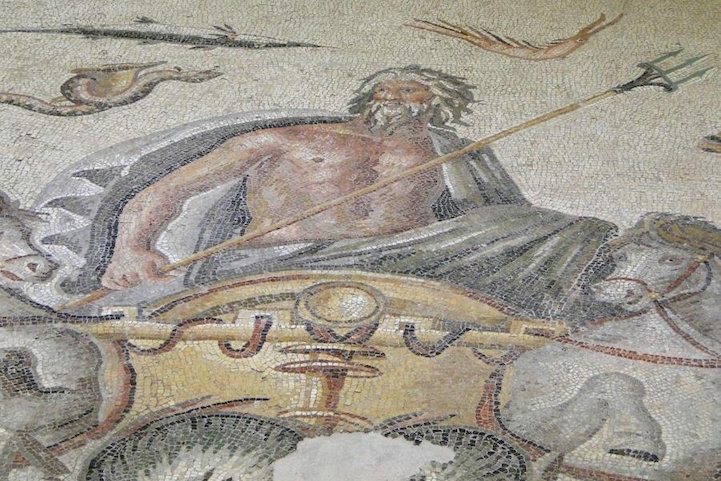 In the mosaic above, a well known Greek God, Poseidon- God of the sea. For a little history about the city of Zeugma, back in the early BCs the city was very important due to its location. The city being geographically located on the borders between the Greco-Roman world and the Persian Empire, it acted as a bridge which everyone had to cross. Eventually as the Roman empire started to decline, so did the Zeugma city. As Zeugma finally fell in AD 253 when Sassanids from Persia attacked the city, the city has been forgotten until the recent expeditions unveiling the buried treasures.